​Jurgen Klopp has revealed his Liverpool squad gave Naby Keita 'multiple hugs' in the dressing room after the Guinean scored his first Premier League goal for the club in Friday's 3-1 win at Southampton. 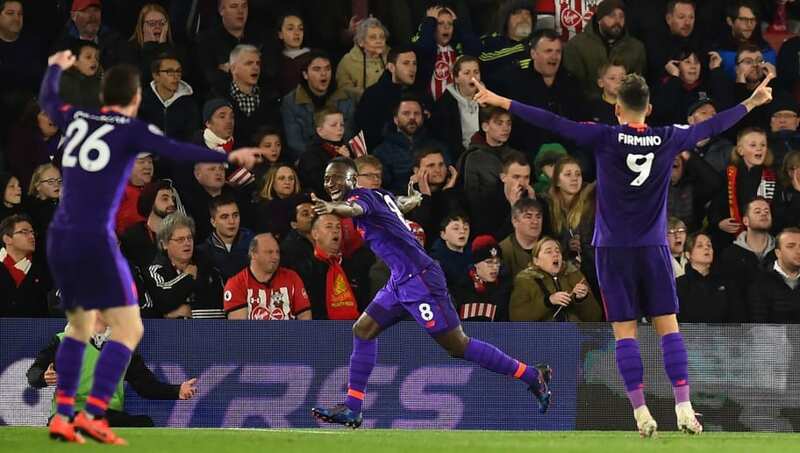 However, Keita finally scored his first ​Premier League goal for the club at the 23rd attempt, netting the first of his side's three goals on Friday night. Speaking after the match (via the ​Express), Klopp was asked about his team's subdued celebrations at the equaliser, something he was unsure over, however, insisted the mood was very different in the changing room after the match. With ​Manchester City in FA Cup action over the weekend, the win temporarily lifted ​Liverpool to the league summit, two points ahead of their nearest rivals, albeit having played a game more. Keita's performance was another highlight on a great evening for Klopp's men, and the German was pleased to see their summer signing get off the mark in the league.